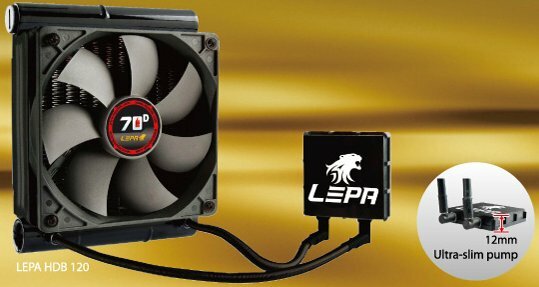 LEPA is getting ready to release the HDB 120, a new sealed liquid cooling solution with a CPU block that is just 12mm thick. The image mentions the cooler uses an ultra-slim pump. It is just 12 mm-thick, with its coolant tubes factory-fitted on its side, rather than on its top. LEPA plans to unveil (and probably demonstrate) the HDB120 at the upcoming Computex 2012 event.